Lot 189 Painted Steel Sign. 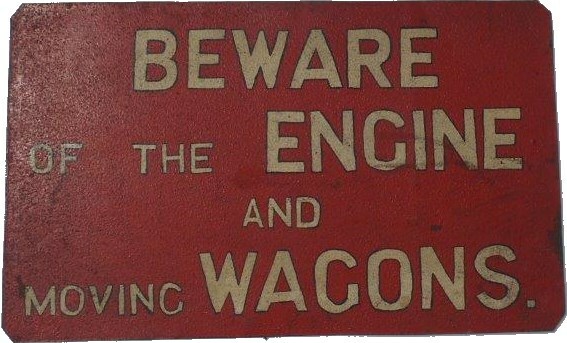 "BEWARE OF THE ENGINE AND MOVING WAGONS". Size 18" x 11". As removed condition.